Highly emollient Intensive Nourishing Cream contains maximum levels of active complexes to stimulate skin rejuvenation and reduce appearance of skin aging such as fine lines and wrinkles. 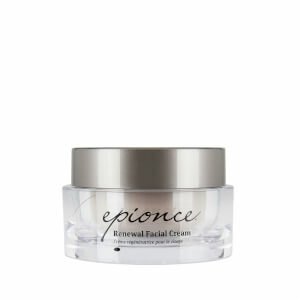 An ultra­ rich cream that provides superior moisturization for photo aged skin on the face, neck and décolleté. Water (Aqua), Butylene Glycol, Petrolatum, Cyclopentasiloxane, Glycerin, Limnanthes Alba (Meadowfoam) Seed Oil, Phenyl Trimethicone, Carthamus Tinctorius (Safflower) Seed Oil, Butyrospermum Parkii (Shea) Butter, Hydrogenated Polyisobutene, PPG-2 Myristyl Ether Propionate, Hydrolyzed Potato Protein, Beeswax, Linum Usitatissimum (Linseed) Seed Oil, Glyceryl Stearate, PEG-100 Stearate, Alcohol, Allium Fistulosum Bulb Extract, Atelocollagen, Azelaic Acid, C10-30 Cholesterol/Lanosterol Esters, C12-15 Alkyl Benzoate, C13-14 Isoparaffin, C30-45 Alkyl Cetearyl Dimethicone Crosspolymer, Caprylyl Glycol, Cetearyl Alcohol, Cetearyl Glucoside, Cetyl Alcohol, Citrus Aurantium Dulcis (Orange) Fruit Extract, Ethylhexylglycerin, Hexylene Glycol, Hydrolyzed Yeast Protein, Laureth-7, Lavandula Angustifolia (Lavender) Flower Extract, Lecithin, Limonene, Linalool, Malic Acid, Olea Europaea (Olive) Oil Unsaponifiables, Persea Gratissima (Avocado) Oil, Phenoxyethanol, Phoenix Dactylifera (Date) Fruit Extract, Phytosphingosine, Phytosterols, Polyacrylamide, Nylon-12 Fluorescent Brightener 230 Salt, Polysorbate 6o, Polyvinylalcohol Crosspolymer, Pyrus Malus (Apple) Fruit Extract, Quercetin, Rosa Canina Fruit Oil, Sodium Hyaluronate, Sodium Hydroxide, Sodium Chondroitin Sulfate, Ursolic Acid, Xanthan Gum. This is the best moisturizer I've ever used. During the Winter months my skin get very dry, so much so it's painful. 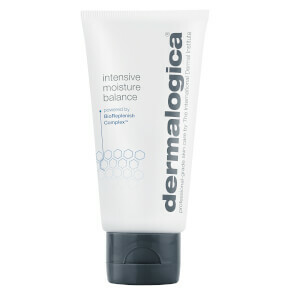 This product keeps my skin subtle and smooth all day long. I use in the morning and at night. The anti-aging properties are fantastic! No wrinkles here, and it work great under make up during the day. So happy I found this fountain of youth in a jar. This will be my last moisturizer ever! After using this product for a month, my skin condition looks quite better than before. I had a dry and sensitive skin, bought so many skin care products before, but none of them works the same as this product. Love it so much, so I have to come back to buy it again.